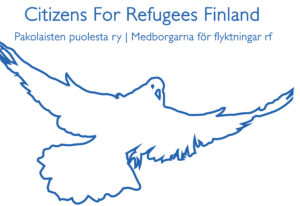 Asylum seekers’ legal assistance as it is stipulated in the Finnish Aliens Act should be amended to make sure all asylum seekers, including those under-aged, will be provided qualified and competent legal aid throughout the asylum process. The legal aid provided must be qualified and specialized in the asylum procedures and should be made available from the very beginning until the end of the process. This would help prevent erroneous asylum decisions based on incorrect and poorly documented and-or examined information. Until adequate legal assistance is provided, we demand the halting of all deportations (of asylum seekers) until the points in this initiative have been examined and the new amendments adopted, especially regarding the restrictions to asylum seekers’ legal assistance carried out after 01.01.2016. We also demand that the negative asylum decisions made after 01.09. 2016 be processed again. 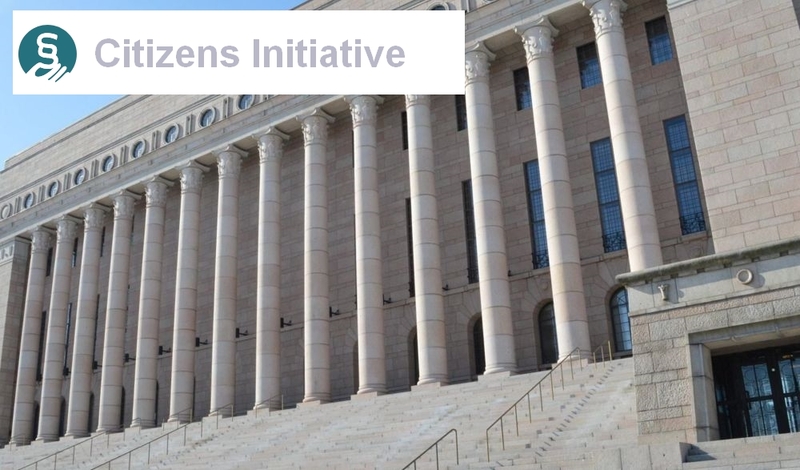 The amendments made to the Finnish Aliens Act in 2016 restricted the access of one of the most vulnerable groups to fair and just administrative procedures. This is against the spirit of the Finnish Constitution and the rights stipulated in international conventions demanding all persons a fair and unprejudiced hearing in a court of law and a chance to represent their case in administrative matters. The amendments made were justified with the intent to streamline the asylum process. This has not taken place. When legal aid is not provided during the asylum interviews many crucial aspects of the asylum seeker’s case can remain unclear. This forces the asylum seeker to make appeals and new applications which in turn adds to the costs and the duration of the process. The European Convention on Human Rights demands the asylum process to be as swift as possible. In denying the asylum seekers legal aid in the beginning of the process the Finnish authorities have de facto made the process lengthier and more cumbersome. This has not only caused significant harm to the applicants and more costs to the taxpayers due to increased administrative procedures, but also significant pressure on the volunteers who are assisting the asylum seekers in this situation. Judicial procedures should be fair and independent. A state should grant every person the same opportunity to present their case in front of the law. At present the judicial system cannot correct the errors made in the beginning of the asylum process. The Administrative Court does not conduct its own research and only rarely does it arrange hearings on the decided matter; therefore the decision is based solely on the documents provided by the Finnish Immigration Service and the legal assistant. Especially after the amendment of 2016 a large number of ordinary citizens have been required to act as advisors for asylum seekers in legal matters; collecting information, taking part in interviews, correcting faulty decisions and even appealing to international courts. The responsibility over the judicial process should belong to the judicial administration, not to single individual citizens. Serving justice in a rule of law state cannot depend on coincidence nor the slack interpretation, judgment and application by the administrative authorities or the police.This pliability left in the law leaves too much room for the administrative process to be influenced by political motives. The results have been harsh. The United Nations (hereinafter the UN) Committee Against Torture has repeatedly needed to correct negative asylum decisions of victims of torture, ; decisions which have passed through the whole Finnish justice system. In two cases France has not returned asylum seekers to Finland for lack of trust in the Finnish system. In 2017, both the UN and Amnesty International reprimanded Finland for its failings in terms of its asylum policy. The Children’s Ombudsman of Finland has repeatedly criticized the consequences of our asylum policy which also has an impact on those Finnish children whose asylum seeking friends have been deported. Unicef has also warned Finland over the problems in its treatment of minors during the asylum process. Also, in 20.03.2018 Unicef gave Finland a serious reprimand on its treatment of minors in legal processes. Research conducted by Åbo Akademi University and the Non-Discrimination Ombudsman evaluated asylum decisions made between years 2015 and 2017.The paper published on 22.03.2018 shows that the situation of those seeking international protection has deteriorated significantly. The discrepancies are clear. Asylum based on international protection was granted less frequently. Fear of violence was accepted less often as a justifiable cause for seeking asylum, as were human rights violations or the risk of being targeted again for repeated human rights violations, such as violence or kidnappings. It is reasonable to ask if the asylum seekers’ situation would have been better and more truthfully represented had the legal aid been kept at the level it was prior to the change of 2016. All the aforementioned facts are in a gross conflict with the principles of the rule of law. The current law as it is stated in the Aliens Act goes against the spirit of the Finnish Constitution and the requirements of the European Convention on Human Rights. The European Convention on Human Rights binds all member states of the European Council. The adherence to the Convention is governed by the European Court of Human Rights, among others. The provisions in the Convention extend beyond criminal justice and are applicable also in administrative processes. By denying the right to legal aid in asylum interviews the Finnish Immigration Service goes against what is stipulated in the European Convention on Human Rights and in several instances of case law; all persons must be given a sufficient opportunity to defend themselves, to be heard and to represent their case. Underlying factors in the procedures – the interpretation and practice of law – of the Finnish Immigration Service, are shortcomings in current laws; both in the Aliens Act and the Legal Aid Act. These shortcomings make it possible for the authorities to use their own assessment and arbitrarily deny legal assistance. This affects persons who should, according to the rule of law, be most entitled to legal aid. Contrary to the spirit of the amendment of 2016, service providers who do not meet the minimum requirements of competent legal aid counsel have entered the market. These legal aid counsels have brought their customers more harm than good. In its current form, the law cannot sufficiently control such practitioners. If receiving legal aid becomes dependent on external factors such as a person’s wealth, gender, ethnicity or contacts, the principles of rule of law start to crumble. Independent judicial processes and transparent administrative procedures are the foundation of the rule of law . “Legal aid is of crucial importance during the asylum process where language problems can hamper a person’s understanding of the often complex and speedily carried out procedures.” The change in legislation will guarantee that the asylum process is fair and just to all persons regardless of their individual circumstances. The change will ensure the principle of equality, which is the basis of general justice procedures, and which at the present state is not fulfilled. It sets clear rules as to who can act as a legal aid counsel. This means that a legal aid counsel must have competence in asylum procedures and the relevant laws. When one of the parties is the state, the ‘equality of arms’ can be guaranteed only by providing the individual competent legal aid. This is especially important for persons who, for one reason or another, have a diminished competence to understand complex official documents. Such reasons can include an injury or illness, or having limitations in reading/writing skills or being underaged. When it comes to asylum seekers, several unfavourable aspects may accumulate upon the same individual. Therefore, as a group, they are in an especially disadvantaged position vis-a-vis the authorities. The proposed amendments will guarantee equal judicial protection to all persons as is required by human rights conventions and good administrative practice. The requirement of competence set upon legal assistants prevents asylum seekers from being taken advantage of in the asylum process and gives the authorities the possibility to monitor the service providers offering legal aid. In the future this will lead to a higher level of expertise among legal practitioners in different fields of law. In addition to this, the changes will lead to faster asylum processes as relevant factors in the asylum seekers’ cases can be clarified already at the asylum interview stage. This in turn will lead into significant monetary savings and relieve the human suffering of both the asylum seekers and their Finnish families. * Translator’s note: Currently there is not available official translation of the Finnish laws into English. These amendments to the acts have not been translated in the Finlex translation available online, therefore this is an unofficial translation made ad hoc for the purposes of this document only of these sections based on the Finnish text.